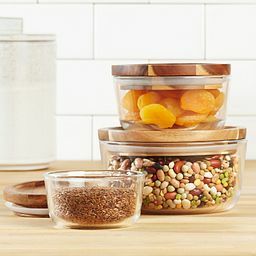 Large round glass storage displays dry food or household items. 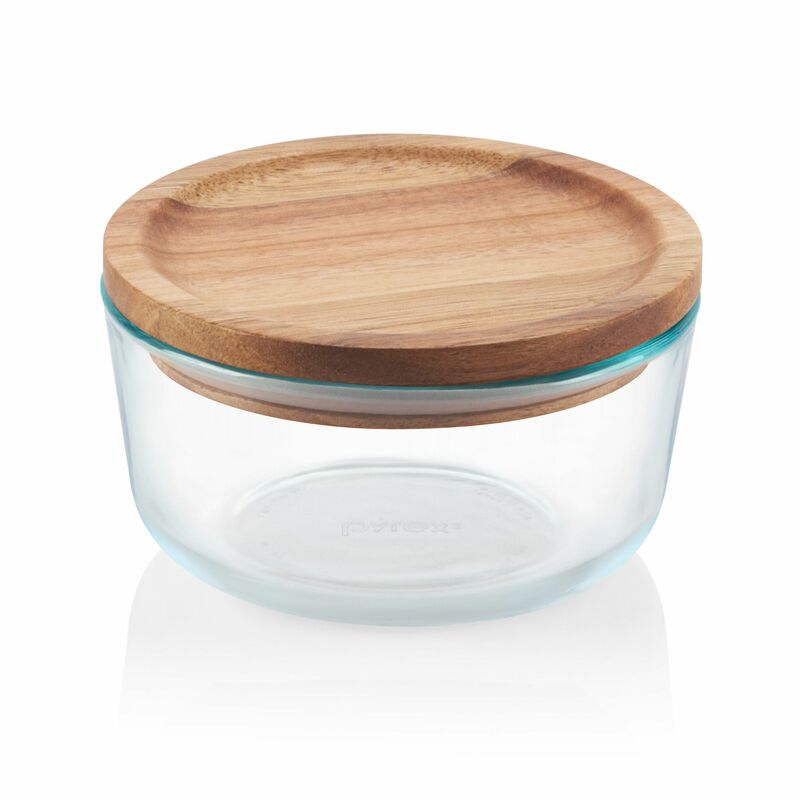 Designed for dry foods or other household items, this large dish with beautiful wood lid let you store in style. 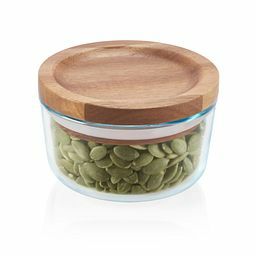 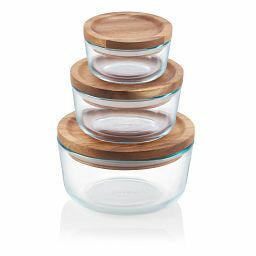 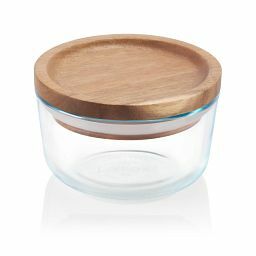 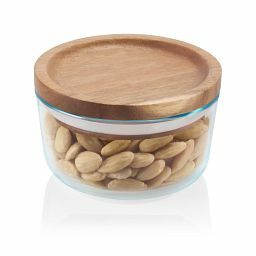 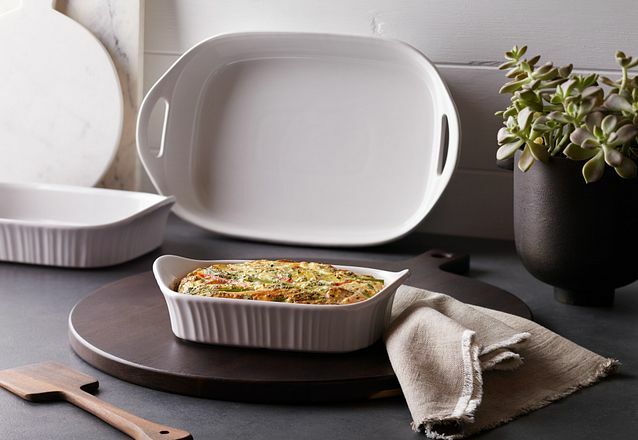 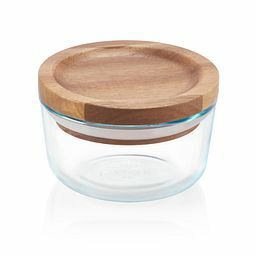 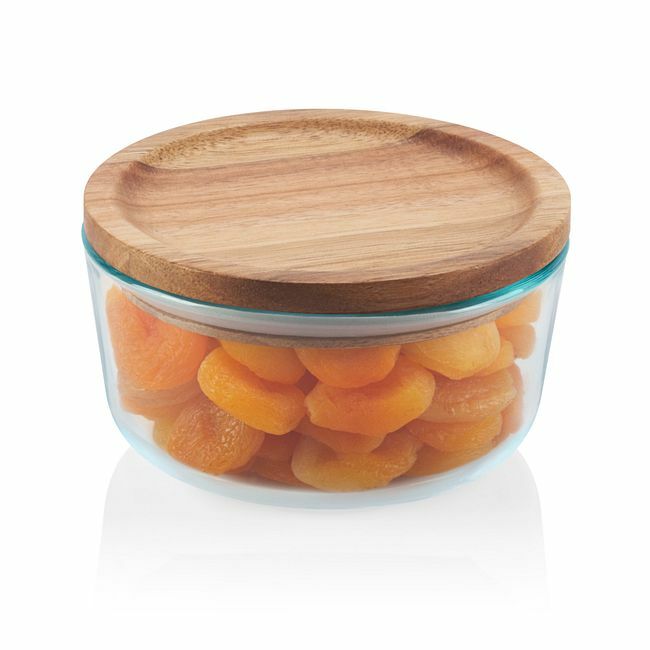 The durable, stain- and odor-resistant pure Pyrex® glass container cleans up easily in the dishwasher, while the hand-washable wood lid displays the contents handsomely.